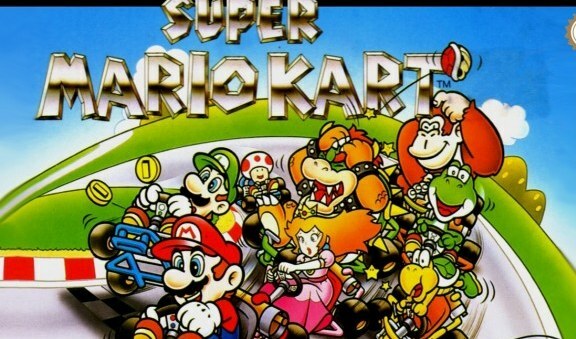 Indie Retro News: Super Mario Kart goes mental with 101 players! Super Mario Kart goes mental with 101 players! In the early 90s' Nintendo released one of the greatest go-kart racing games ever for the SNES, and that game was Super Mario Kart, which has sold well over 9 million copies in its life time. But even if the game was an awesome multiplayer experience battling your way through to first place, you have probably never seen it with 101 players. Well that's exactly what Hat-Loving Gamer has done with this great classic as the game is full to the brim with gaming characters spanning many years. It is in our opinion completely mental, and would probably make the game even more difficult than it already was back in the day. - Thanks DSOGaming for the heads up.